2 Acres of Extensive landscaping. 136 thoughtfully designed Duplex Sky Villaments. Larger Club House with features like Swimming Pool, party areas, Gym, Games Room etc. 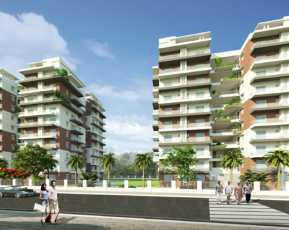 Magic Breeze: A work of art by finest professionals, and a gratifying branch of Pooja Crafted Homes. The landscape of Magic Breeze is maintained in such a well-mannered way that each of their works seems to be at their desired place. The architecture of this project is designed by Austria, who are a team of young and experienced professionals, known for their polished work. The landscape is extended to 2 acres of area, of which enough space has been devoted to resident’s recreational activities. This is one such area that residents look forward to. The only place that helps you to start your day on a pleasing note. Magic Breeze is a Vastu Compliant place, what could be sounder than this! Magic Breeze Price allows you to choose your dream palace at an affordable rate. Their pricing starts from 99.71 lakhs and reaches up to1.31 crores. The dimensions of the apartments start from 2432 sq. ft. and ends to 3215 sq. 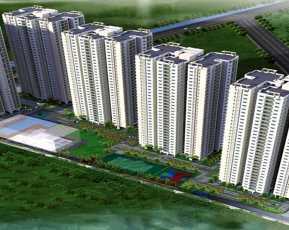 ft. Only 3BHK flats are structured in this society, but these flats are designed in different dimensions so that to-be-residents can opt for the most suitable one as per their needs. They also you in the loan process. They have tie-ups with some banks so that you can have your apartment keys in the soonest possible time. Hyderabad is one of the growing Industrial Location. With all the growth nurturing around, one looks for a Residential Apartments in Hyderabad that could ease their busy day and fill it with lots of comforts. A place where one could feel home and find all the basic facilities rooted in the society. Magic Breeze comes with all those things in a surprise packet for you. A spacious and large clubhouse in the society brings in more fun to your day-to-day life. All activities could be performed here, like parties, function, anniversaries can be planned and arranged in their aesthetically designed place. Moreover, a well-equipped Gym with all the modern tools to shape you up and turn you fit. Vehicle parking facilities for your precious vehicles and they too are being watched under the keen eyes of the cameras. 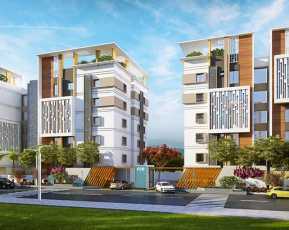 This rare presentation of Pooja Crafted Homes is located in Narsingi Hyderabad. 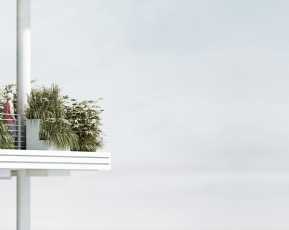 This location is a central hub for all the places that one would feel to have near to their residential apartment. One could easily locate delightful restaurants, delicious serving eatery joints like Deori, Jonathan’s Kitchen, Shah Ghouse, and much more to explore. 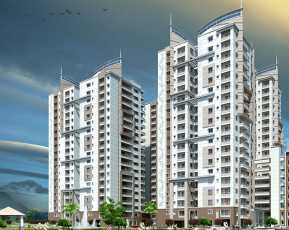 This 3 BHK Property in Narsingi Hyderabad is rich in class and profound in their facilities. The society is guarded by trained guards and highly secured with 24*7 working equipment. Gated community with cameras installed at each node to ensure your safety and protection. Round the clock power backup facilities are supported. This is a win-win deal to elevate your lifestyle to a higher level. Experience their extendable services by booking your premium flat in the refreshing and reviving place of Hyderabad. Let your home be a place of your pride and go shine with its beauty! Based on 1 recommendations Would you recommend this Property?